The date is rapidly approaching when providers who are participating in MACRA will be subject to adjustments in payments from Medicare. However, many providers may not be ready for the significant changes that will soon occur. 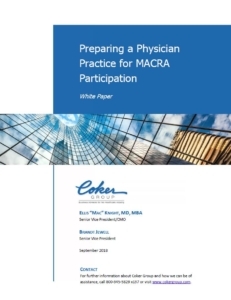 This paper presents a step-by-step guide to preparing for MACRA participation.